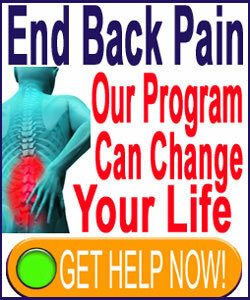 Lower back muscle imbalance can cause pain and functional impairment. Muscle imbalances are seeing a growing prevalence as an explanation for lumbar pain. While there are many patients who do demonstrate muscular imbalances, there are also many who are mistakenly diagnosed, often without the basis of any solid evidence linking subjective muscular analysis to any pain-generating mechanism. The diagnosis of muscular imbalances is rarely seen in traditional medical circles, which immediately casts doubt on their growing incidence as a diagnostic explanation for lower back pain. Instead, many patients achieve these diagnoses from extremely subjective caregivers who might mean well, but may also be unenlightened when it comes to the facts of muscular imbalance issues. This investigative essay seeks to clarify the facts when it comes to how muscular imbalances can create pain, as well as the innocent nature of many muscular diagnostic scapegoats. If your pain has been blamed on a muscular deficiency or imbalance by chiropractor, physical therapist, massage therapist or physician, but recommended treatments have not provided relief, then this essay will provide necessary information that you need to know. Lower back muscle imbalances can affect paired sets of muscles throughout the lower body anatomy. For every anatomical action, there are muscles that cause the action to be. Additionally, for every action, there is a set of muscles to provide the opposite action. These 2 sets of muscles are called an antagonistic pair. When one muscle contracts to provide action, its matched pair will soften and relax. Conversely, when the opposite muscle contracts to create the opposing action, the original muscle softens and relaxes. An imbalance occurs when the matched muscle set opposing an action does not relax, preventing proper movement of the anatomical part. To simplify this explanation, let’s provide a visual element to help you better visualize the idea of muscular imbalances. A simple example is found in the upper arm. The bicep muscle causes the arm to bend. When the brain tells the arm to bend, the bicep muscle contracts, becoming rigid and moving the arm into the desired position. During this time, the triceps relax, since they are passive in the role of bending the arm. When the brain wants the arm to straighten, the triceps will contract, causing the arm to move as indicated, while the bicep relaxes. If either set does not respond as designed to movement instructions, then an imbalance occurs in the muscular pairing, potentially causing dysfunction or pain. Muscular imbalances result in one part of the antagonistic set being stronger than the other. This causes one set to become tighter and more prone to contraction when not indicated, and the other to become weak, lax and unable to perform its half of the movement equation. When imbalances occur in the postural muscles, lower back pain might result. However, this supposes that some part of the antagonistic pairing is deficient, which is not always the case in theorized cases of muscular imbalances. The diagnosis of muscular imbalances in the lower back are almost always made by hand-on practitioners, such a physical therapists, chiropractors, massage therapists and sports medicine physicians. The diagnosis is virtually unknown in traditional medical circles. Imbalance diagnoses are virtually always revisionary, replacing one or more earlier and thought to be incorrect diagnostic theories. Statistics place this fact at over 90% of diagnosed patients. If the previous lower back pain diagnosis was wrong, it is logical to also doubt the accuracy of any revisionary diagnosis, especially if no verification of a muscular pathology exists. Usually diagnosis is made by trying to pinpoint the location of pain and correlate it to the specific muscular tissues involved. Testing will be performed to check the relative strength and range of motion of the involved antagonistic pair of muscular tissues. If one is found to be deficient or overly tight, it will often be implicated as the source of pain. Common combinations of muscular issues located might exist in the dorsal musculature itself, the muscles of the chest and upper torso, the abdominal muscles, the muscles the surround the hip or the muscles that provide motion for the legs. The diagnosed patient is often never informed that muscular pairings are virtually never perfectly balanced. Most people demonstrate extreme variations of strength in muscular antagonist pairs. This is the way their particular anatomy developed and most objective scientists would call their anatomy normal. Remember, the human form is as diverse as a lifeform can get. We each have our own abilities and limitations and most doctors consider muscular imbalance theory to be just a reflection of that fact. That being said, we have seen definitive examples of imbalances that can cause pain. However, these circumstances are rare and are usually related to extremely unusual scenarios that certainly do not reflect the typical diagnosed case of muscular inequality. Therefore, we caution patients to be wary of this diagnosis and seek expert diagnostic opinion from multiple sources before accepting it or treating it. On a positive note, virtually all muscular imbalances are treated using a variety of targeted exercises and stretches. These activities are good for general health and will virtually never cause harm. So, even if the diagnosis is not correct, at least most therapy efforts will be constructive and not expose the patient to the hazards of drugs or surgery. If pharmaceutical or surgical intervention is suggested as part of a muscular imbalance treatment program, then be absolutely sure to seek further diagnostic evaluation before acquiescing to care.